​Tired Of The Problems ? Have It Rebuilt ! Lets face it, the law of averages says that if you made the decision to rebuild your water feature in the beginning of the problematic issues you would ultimately save time and money. Chasing leaks, additional filters, constant water treatments, combined with your unrealistic maintenance requirements should be enough to make anyone cry out for help. 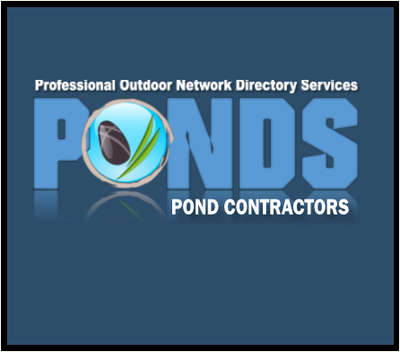 Renovation & Rebuilds are our member contractor's # 1 consideration when dealing with new clients calling for help with their pond or water garden. 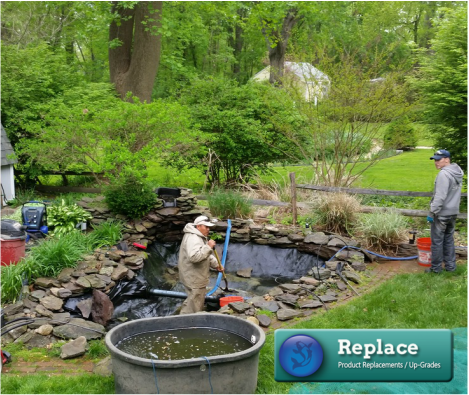 Their experience with installing Aquascape Ecosystem Type Ponds teaches them the basic's for keeping natural looking ponds looking great all season. And depending on the issues at hand, as stated above, sometimes it's just more cost effective to rebuild it from the beginning. 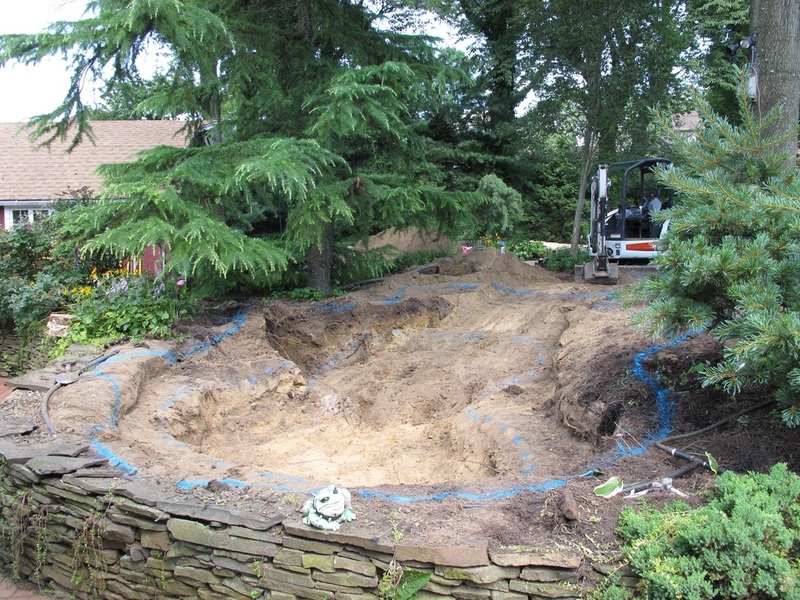 How do you know when it's time to rebuild your water feature ? This as they say, is the million dollar question. 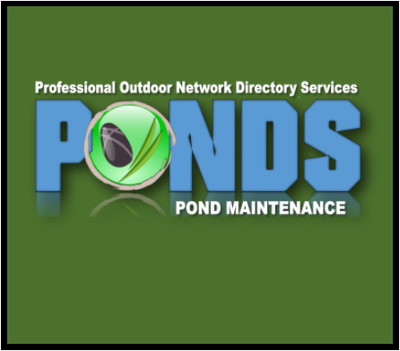 When your pond starts to show it's age, the pumps or filter will start to go, your liner settles & then leaks, or constant dirty water conditions are driving you crazy. 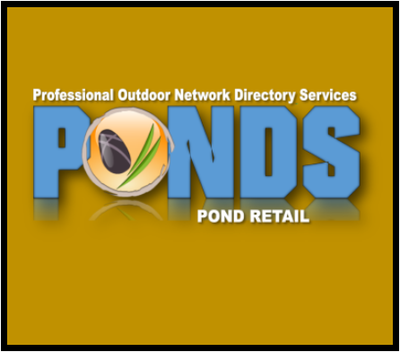 Maybe your just tired of looking at the current pond or water feature because you saw a pond online, or at a friends house that is nicer than yours. Maybe you just bought a house with a pond with problems that are now your problems? ​All reasons to consider if you ask us. 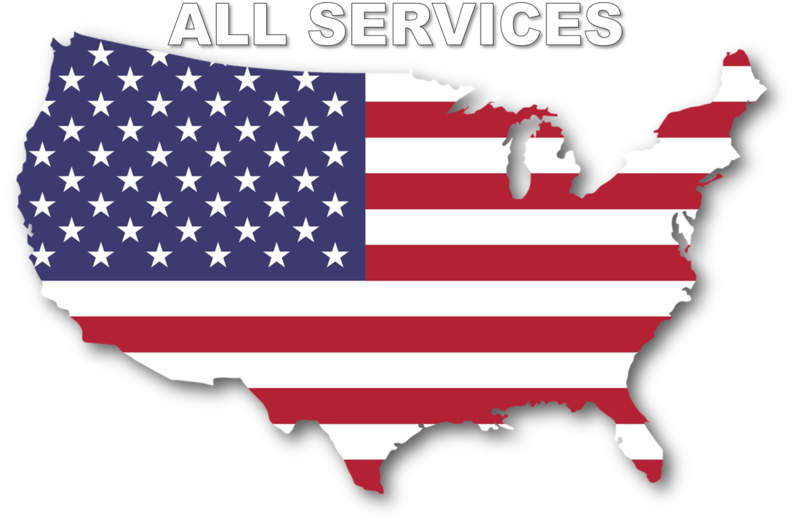 Whatever the reason contact one of our contractor members for help.